Below you fill find all funeral homes and cemeteries in or near Richmond Hill. Richmond Hill is also known as: Bryan County / Richmond Hill city. Their current mayor is Mayor Jan Bass. Zip codes in the city: 31324. Bryan County funeral flowers can be purchased from one of the local funeral shops we partner with. Richmond Hill is a city in Bryan County, Georgia, United States. James Oglethorpe, only a year after the founding of the Georgia colony at Savannah, awarded grants of land on the Ogeechee River in 1734. Once known as St. Phillips Parish, Bryan County was established in 1793. On February 1, 1797 the Bryan County justices valued 2 acres at the Cross Roads for $24 for the purpose of establishing a permanent county seat in courthouse. Cross Roads was the intersection of the Savannah-Darien Stage Road (current US 17) and the Bryan Neck Road (current GA Hwy 144). The Cross Roads became Ways Station in 1856 when the Savannah, Albany & Gulf R.R. was built across the nearby Ogeechee River into Bryan County. Near this site a train depot was built, which came to be known as “Ways No. 1 ½” for William J. Way, the first station master and a local rice planter on lands through which the railroad passed. A settlement grew up in the section between the railroad tracks and the Crossroads just to the west. It came to be called Ways Station, a designation that lasted until 1941 when the name of the community was changed to Richmond Hill.The population was 9,281, up from 6,959 at the 2000 census. It is part of the Savannah Metropolitan Statistical Area. It was reported on July 27th, 2017 that Mary Ransdell (Williamson) passed away in Richmond Hill, Georgia. Ms. Ransdell was 87 years old and was born in Charlestown, MA. Send flowers to express your sorrow and honor Mary's life. It was reported by Peoria Journal Star on July 26th, 2017 that Richard Eugene Sharp passed on in Richmond Hill, Georgia. Sharp was 62 years old and was born in Gibson City, IL. Send flowers to express your sympathy and honor Richard Eugene's life. It was disclosed by New Bern Sun Journal on February 17th, 2016 that Faye Dickey (Newton) passed away in Richmond Hill, Georgia. Send flowers to express your sympathy and honor Faye's life. It was reported on March 3rd, 2015 that Donald Allen Bean perished in Richmond Hill, Georgia. Bean was 60 years old and was born in Hickory, NC. Send flowers to express your sympathy and honor Donald Allen's life. It was noted on December 28th, 2014 that Dudley E Shultz passed on in Richmond Hill, Georgia. Shultz was 88 years old. Send flowers to share your condolences and honor Dudley E's life. It was written by The Macon Telegraph on January 31st, 2013 that Frederick "Mickey" Hart passed on in Richmond Hill, Georgia. Send flowers to share your condolences and honor Frederick "Mickey"'s life. It was written by The Macon Telegraph on April 18th, 2012 that John W Wilkinson passed away in Richmond Hill, Georgia. Wilkinson was 93 years old and was born in Bucyrus, OH. Send flowers to express your sorrow and honor John W's life. It was written by The Macon Telegraph on June 22nd, 2011 that Sarah Wood Livingston passed away in Richmond Hill, Georgia. Livingston was 79 years old. Send flowers to share your condolences and honor Sarah Wood's life. It was reported on January 21st, 2010 that Billie B Martin passed away in Richmond Hill, Georgia. Martin was 85 years old. Send flowers to express your sorrow and honor Billie B's life. It is part of the Savannah, Georgia Savannah metropolitan area Statistical Area. The population was 6,959 at the 2000 census. 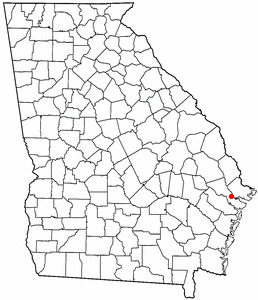 Richmond Hill is a city in Bryan County, Georgia County, Georgia (US state) United States. . . The official website for the city of Richmond Hill is http://www.richmondhill-ga.gov. AUGUSTA, Ga-- Richmond County investigators are looking for two men after ... Thank the lord it was a small gun, if it was a big gun, we'd still be at the hospital or making funeral arrangements" said Lee Hoops, the father of the victim. Gainesville, Ga ... grandchildren. A funeral service will be held on Wednesday, November 3, 2010 at 3:00 PM at the J.C. Green & Sons Chapel in Thomasville with Rev. Mike Orman officiating. Interment will follow in Holly Hill Memorial Park Cemetery. Listing all funeral homes in Richmond Hill, Georgia so you can easily send flowers to any location (same day delivery) or find any funeral service. Funerals in Richmond Hill, GA on Yahoo! Local Get Ratings & Reviews on Funerals with Photos, Maps, Driving Directions and more. Cox, Bill - Richmond Hill Funeral Home, Richmond Hill, GA : Reviews and maps - Yahoo! Local, 912.756.7575. Get Ratings, Reviews, Photos and more on Yahoo! Local. Find a Funeral Home inRichmond Hill, Georgia GA to provide the caring burial and ceremonial services your family deserves. We work with local florists and flower shops to offer same day delivery. You will find budget sympathy flowers in Richmond Hill here. Our funeral flowers are cheap in price but not in value.